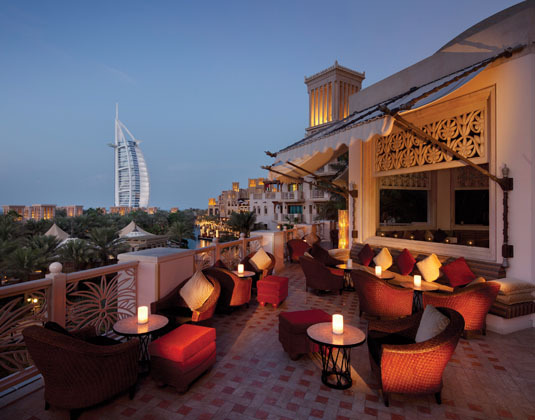 Styled to resemble an ancient Arabian citadel, this magnificent resort sits in the heart of Jumeirah Beach, overlooking the iconic Burj Al Arab. 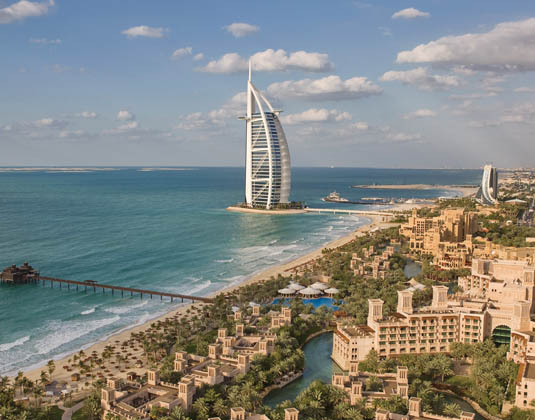 Comprised of four distinct properties: Mina A'Salam, Al Qasr, Dar Al Masyaf and Jumeirah Al Naseem, each is luxuriously ornate, combining the height of opulence with tradition. 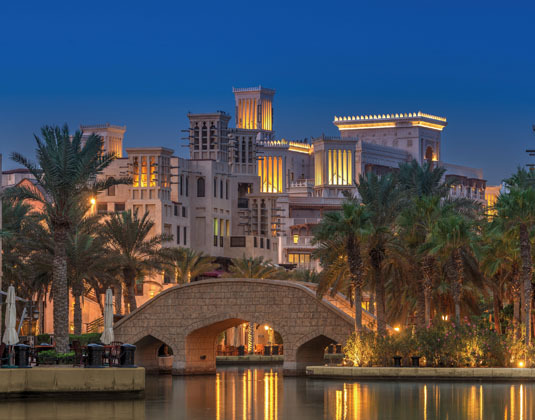 Water taxis ply the waterways that meander throughout the resort where guests will find an array of accommodation, a serene spa and a vibrant souk. 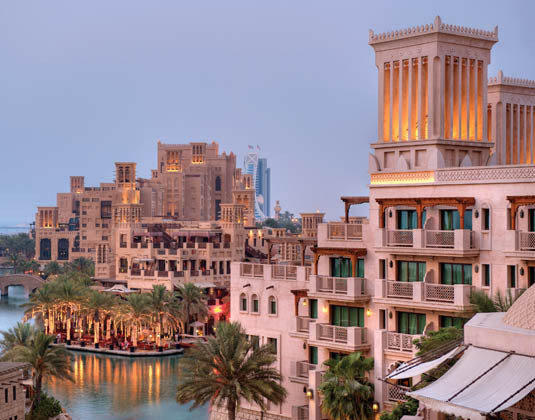 Al Qasr means 'The Palace' and this hotel is truly the jewel in the crown of Madinat Jumeirah. 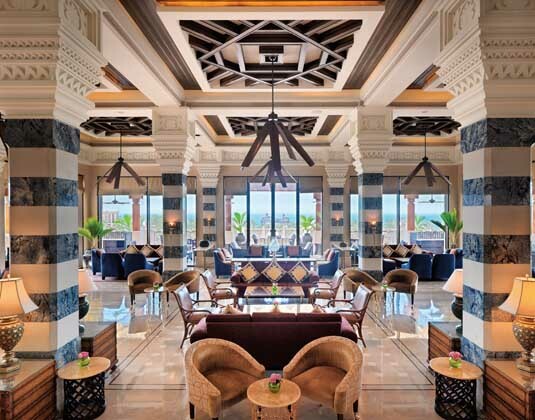 Designed in the style of a Sheik's summer residence, the hotel replicates traditional royal architecture, coupled with luxurious modernity throughout. 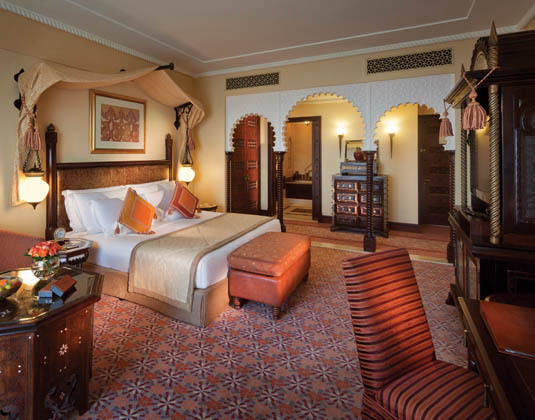 In Arabian deluxe rooms, with antique furnishings, air-conditioning, opulent bathroom with bath and separate shower, dressing area, safe and balcony. 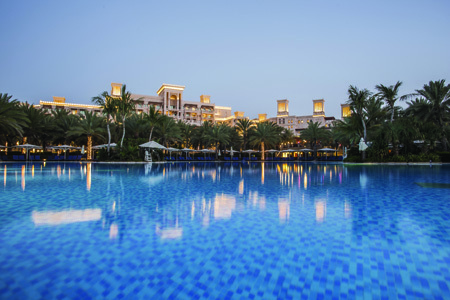 Ocean deluxe rooms, premium leisure rooms which are ideal for families and club executive rooms for adults both of which include access to the Club Lounge. Breakfast. Half Board also available. 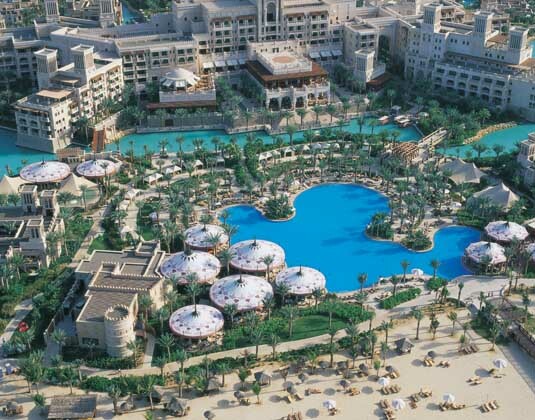 35 minutes from Dubai airport. 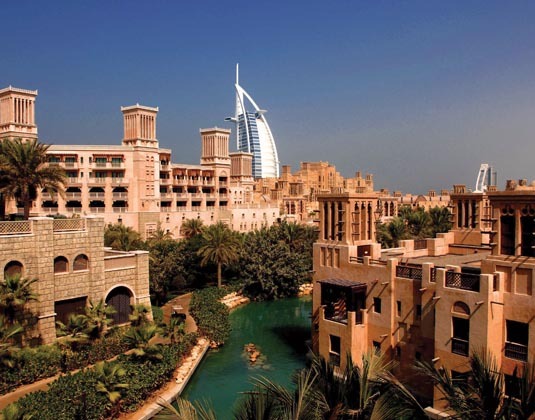 FREE unlimited access to the Wild Wadi Water Park & shuttle bus to Mall of the Emirates and all other Jumeirah Resorts. 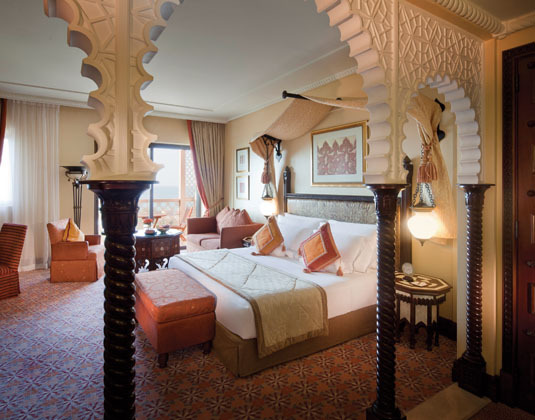 Additional offers include: Early booking room discounts up to 35%, FREE half board and family offers. Available on selected dates. Please ask for details.